Micha James knew she was going to college. She also knew she wanted to serve her community. 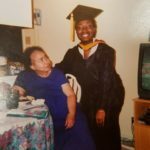 She graduated from Winston-Salem State University with a nursing degree and skills that allow her to support Blue Cross and Blue Shield NC (Blue Cross NC) members every day. When she applied, she walked her application on campus and spoke directly to admissions staff. They reviewed her transcript and offered her a scholarship on the spot. 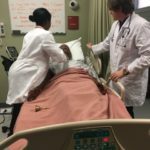 Our $1M investment in WSSU’s nursing program will provide additional funding for scholarships for students just like Micha James. 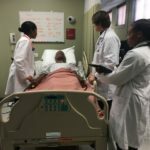 The WSSU motto is to “enter to learn and depart to serve,” and we know that our state faces a critical nursing shortage. We are investing in students at WSSU so they can depart to serve the communities that need them the most. When Micha attended school, tuition was only $992. But she remembered how expensive all of her textbooks and uniforms were. Her scholarship helped her meet the necessary requirements without worry. 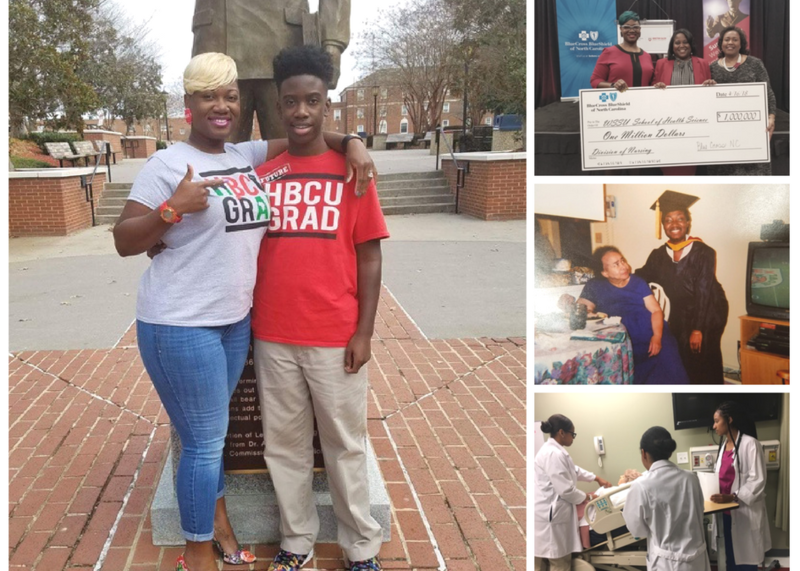 Today a college education can create a lifetime of debt, but this investment from Blue Cross NC will create opportunities for new students to experience HBCU life in a rigorous and highly respected nursing program. Now, Micha uses her nursing skills as a member onsite coordinator. She also works at a skilled nursing facility every other weekend because the thrill of clinical care has never left. At 23, she needed to make decisions and with a baby on the way she needed a job with benefits. She knew the 12-hour shifts as a new nurse would not allow her to bond with a newborn son. 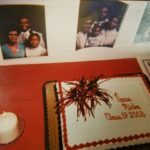 She transitioned after graduation into a role as a Home Health Provider. 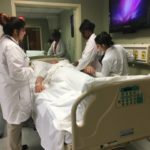 She knew she wasn’t finished with nursing, but she craved more stability and that’s when she found a 9-5 role at Blue Cross NC. She’s been here for 12 years. 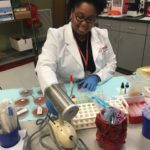 As an onsite coordinator, Micha is able to use the first rule she learned in nursing school when meeting patients which is to “assess the situation.” She credits her studies at WSSU for helping her refine that skill. She assists patients at Wake Forest Baptist Medical Center to help them better understand their insurance, their diagnosis and to answer their many questions. She listens to what they say and often picks up on what they may not say to really understand their needs. “I’m your contact going forward,” is the motto she tells her patients, and she means it. When she visits patients in cancer units, many of them may have never had a major illness and their hospital admission is their first time using their benefits. She will work to link patients with sources that can help them receive the care they need. Nurses like Micha impact care with compassion every single day. She uses that skill when talking to her patients; she always asks herself “how can I leave these patients with something more?” She also encourages patients to eat better and to do research so they can impact their own healthy outcomes. Many older African-American adults have a fear of treatment due to a history of discrimination. Micha recognizes that there is a level of distrust in minority communities when it comes to health care. 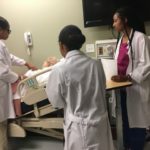 That is why highly-skilled nurses from HBCUs are needed more than ever. 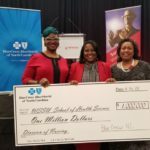 Micha is pictured left, Blue Cross NC Director of Strategic Community Initiatives, center and Winston-Salem University Dean of Nursing, right. Rural communities and minority communities face barriers to health care. At Blue Cross NC, we are working with community partners to identify areas with the greatest need. This investment is one that will impact issues related to social determinants of health. We can’t wait to see what the next generation of North Carolina nurses will do!